According to the Anunnaki themselves, our solar system has one more member, a huge planet that is orbiting the sun in a 3,600 years long ellipse. They called their planet Nibiru, which means “the planet of the crossing” — because together with its moons they form a cross image, and Nibiru is located at the crossing. Long story short, they’ve tried everything: from creating an artificial shield (which eventually fell down to the ground), to bombarding the volcanoes with nuclear-like weapons in order to make them active once again, but all their efforts ended in failure. “For days before the Day of the Deluge, the Earth was rumbling, groan as with pain it did;Soon, “rains were withheld, winds blew harder; springs from the depths did not arise.” The Nibiruans grew restless and stopped worshiping Alalu, for not being able to bring them salvation. Anu seized the opportunity and dethroned Alalu from Nibiru’s kingship. Fearing death, Alalu boarded a “missile-throwing celestial chariot” and set its course for Earth, where he discovered gold. He delivered the good news back to Nibiru and requested the throne back, but instead, Anu promised him Earth’s leadership. Anu and his two sons, Ea and Enlil, arrived on Earth to make plans for the future. He decided to give Earth’s leadership to his son, Ea, and renamed him En-ki (Earth’s Master). Alalu was greatly offended and challenged Anu to battle, but lost again. According to the tenth – of the so called “lost” – Sumerian tablet (written in Enki‘s own words), the Anunnaki built the pyramids of Egypt as beacons for their new main spaceport on Earth, after the old ones had been wiped out by the biblical Great Flood. In the Sumerian tablets it is known as the Deluge and it was activated by Nibiru’s passing, but not solely caused by it. Long before Nibiru reached its perigee, other significant changes were already taking place: black spots appeared on the Sun’s surface, Earth’s magnetic field became weaker, the temperatures raised and the ice caps begun melting. (All these events are similar to what we experience today, including the more recent sun’s black spots). The tablet does not explain what caused these important galactic changes, but presents the concern of Nibiru’s scientists. They understood that Nibiru’s passing will cause huge tidal waves, which will cover most of the lowlands. And this is exactly what happened. This may imply that Nibiru’s passing could go unnoticed by most people. What if comet Elenin was really a smokescreen for Nibiru, as so many people and amateur astronomers suggested? According to the Sumerian tablets, Nibiru enters our solar system from the direction of the Leo constellation — the same as comet Elenin did. 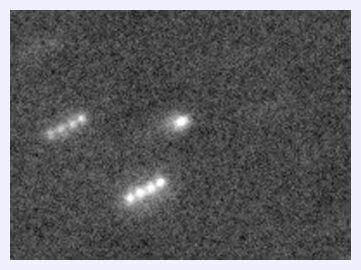 There have been many videos and articles from amateur astronomers and people with above-average knowledge who presented evidence of a possible brown dwarf approaching our solar system from the constellation Leo, at the same time as NASA and the MSM were chatting non-stop about merely a comet — NASA’s most studied comet in history, I might add. Just before the deluge started, most of the Anunnaki returned to Nibiru, but some of them decided to stay. Those who remained, watched the destruction from their “celestial boats”, while circling the Earth. “Then there was darkness in daytime, and at night the Moon as though by a monster was swallowed. The Earth began to shake, by a netforce (i.e. gravitation or electromagnetic force) before unknown it was agitated. Next, the South’s Pole huge ice sheets smashed into each other, broke, and fell into the ocean, creating a gigantic tsunami. The waves traveled North, towards the lands of the Abzu, which was an Anunnaki gold-mining domain in South-East Africa. (Actually, the oldest discovered Metropolis on Earth is located in the South-East African Continent, and it is dated 160,000 to 200,000 BCE. The metropolis measures and astounding 1,500 square miles, it is thought to be part of a 10,000 square miles community and it was built around thousands of gold mines). The tidal wave continued North, until it reached and submerged the city of Edin (meaning “[the] home of the righteous ones”, it was one of the first Anunnaki settlements on Earth. This is also the biblical Eden, and it’s located somewhere at the bottom of today’s Persian Gulf) and all the inhabited lands of the Anunnaki, together with their gold mines, spaceports and cities.Some of the very few humans to escape the flood were Ziusudra (biblical Noah) and his family, who had been secretly instructed by Enki to build a boat, seal it with bitumen (in order to make it waterproof, even if submerged by the waves). A great storm with heavy rains started. The tidal wave kept sweeping the Earth for seven days, until it finally came to a halt. But the heavy rains continued for forty more days and nights. When the rains finally stopped, Ziusudra and Ninagal directed the boat toward Mount Arrata’s (today’s Ararat Mountains, located in Turkey) twin peaks that were still visible. They were able to find dry land while heading for the peaks. The Hidden Records Website: “Wayne Herschel contends that all 50 pyramids in Lower Egypt replicate the prime stars on one side of the Milky Way. He also confirms Robert Bauval’s theory that the three main pyramids of Giza conclusively represent Orion, however he identifies a new scale interpretation very different to that of Bauval’s. “Focus on the star pattern of the Pleiades and its important Sun-like star nearby. This is an obsession shared by virtually all ancient civilizations.” Also note the lower left pyramid formed by the “holy trinity” stars and the Pleiades (Leg of the bull): is this the infamous “elite” pyramid with the all-seeing-eye apex? Temple of Jupiter in Baalbek, Lebanon — Either Enlil’s abode, or Roman construction on-top of the Landing Platform. The ancient site of Baalbek encompassed a paved stone platform of about five million square feet. Important to notice: Baalbeck means The City of the Master or Lord, both titles being used by the humans to address the Anunnaki ‘gods’. “A suitable mount he selected, the Mount of Way Showing (i.e. most probably the famous Temple Mount of Jerusalem) he named it. Before proceeding, I must share some mind-blowing facts regarding the Baalbek site. According to “fully qualified and practising American civil engineers”, the Baalbek terrace is an amazing achievement, because of the size and weight of the stones involved in its construction. “In its midst a great rock was carved inside and out, to house a new Bond Heaven-Earth it was made. Ningishzidda = Son of Enki, he was a master of genetics and other sciences. Later, in ancient Egypt, he was known as Thoth. This is the reason why I warned you to be cautious about the so called “Emerald Tablets of Thoth the Atlantean” — it’s just another Anunnaki deception! “On a tablet the image of smooth-sided, skyward rising peaks for them he drew. “The geographical orientation of the great pyramid, is probably the most amazing characteristic. Its sides are almost perfectly placed from N-S and E-W. It is almost perfectly oriented on Earth’s True North! The above passage of the tablets also explains how the Anunnaki used their “tools of power” to cut and put in place the massive stone blocks. The Great Pyramid was built to have “galleries and chambers for pulsating crystals”. As I mentioned before, we have a lot to learn about crystals, and I am sure that we will use them for multiple different purposes, in the near future. “When this artful peak to the heavens rose, to place upon it the capstone, the leaders were invited. Of electrum, an admixture by Gibil (another son of Enki, in charge with metallurgy and maker of “magical” artifacts) fashioned, was the Apex Stone made. According to different accounts, the pyramids had been covered in white limestone, and we can only imagine how beautiful they were, gleaming in the desert’s sunlight. Marcus Antonius, a Roman politician and general, described the Great Pyramid more than 2,000 years ago as “shining like a precious jewel”, while being visible from 100 miles. The description of the Apex Stone’s role in the night, can be accepted both literally, and figuratively, and personally I think both description are accurate. Literally, the capstone was somehow able to emanate the light of the “pulsating crystals” from inside the pyramid toward the heavens, and figuratively, it was also used as a GPS-like landmark by the Anunnaki space ships. “Then Enlil by his own hand the Nibiru crystals activated. NE: Mount Ararat’s tallest peaks, equipped with guiding beacons; SE: The approximate location of the Edin, the biblical Eden; W: Enlil’s abode and location of the 1st spaceport, after the Deluge; West (lower): The location of the Mission Control Center; SW: The Great Pyramids of Egypt, equipped with guiding beacons. “When in the future days it will be asked: when and by whom was this marvel fashioned? Marduk, Enki’s firstborn child and his legal heir, was enraged of his father’s and uncle’s decision. He demanded for his image to be carved on the lion’s face, because the pyramids were situated on his domains. – Marduk (Ra) replaced Ningishzidda’s (Thoth’s) face from the Lion monument. – Marduk lost the first war of the pyramids (a.k.a. the Great war of the Anunnaki) and went into exile. He became known to the Egyptians as Amun Ra, meaning “the exiled god, Ra”. Enki and Enlil divided Earth among their other sons. – Ninurta (Enlil’s foremost son, mothered by Enlil’s half sister, Ninmah. He was Enlil’s legal successor) was celebrated as victor after defeating Marduk. – Ninurta, later established alternative space facilities in the Americas. – Anu (Nibiru’s king for the past ~500,000 years) decided to come to Earth one more time, but accompanied by his spouse, Antu. The Anunnaki debated many plans for the future, including how to keep mankind obedient. – To celebrate Anu’s second coming to Earth, a new year count was established by the Anunnaki. – Pardoned by his grandfather Anu, Marduk remained rebellious and later usurped a site, planning to build an illicit launch tower. Frustrated by the Enlilites, he also seized the Second Region. – Ningishzida, who was known in Egypt as Thoth, was deposed by his brother, Marduk. He took with him followers and flew to the Americas. – Marduk declared himself Ra, the sun god, and replaced the Moon/Lunar calendar used by the other Anunnaki, with a new one, based on the sun’s movement. He also started a new religion, in which he was worshiped as a god, and the sole ruler of Earth – which greatly worried and upset the other Anunnaki. He is the one who introduced the Pharaonic reign, with the intention to mark the beginning of a new civilization. – For the first time, demigods (half Anunnaki and half human hybrids) ruled as kings on Earth. They also served as priests in palaces and temples. They are today known as Monarchs, and rule mankind in the name of the Anunnaki ever since. – Enki was known as Ptha in Egypt, which meant “The Developer”, and commemorated his greatness in reestablishing the civilization after the Deluge. – The Anunnaki were known as “Neteru” in Egypt, literally meaning “The Guardian Watchers”. – Marduk proclaimed the coming Age of the Ram as his sign and demanded Earth’s leadership. Ningishzidda started building stone observatories to prove otherwise (this is clearly one reason for some of the dozens monolithic stone observatories erected all over the planet, in all major cultures). 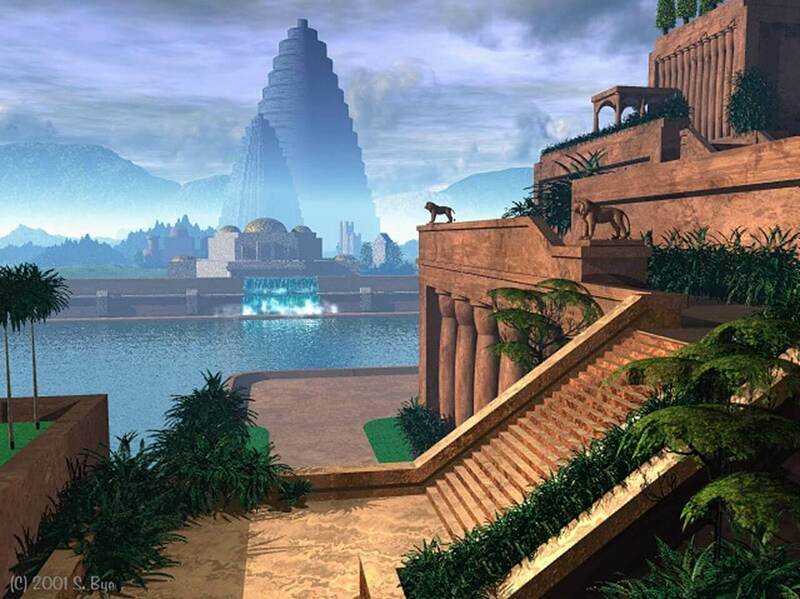 – Marduk built Bab-Ili (Babylon) in Mesopotamia, literally meaning “The Gateway of the Gods”. Armies raised by his son, Nabu, attempted to seize the Anunnaki spaceport. Overruling Enki, the Anunnaki decided to use the Weapons of Terror (similar of today’s nuclear weapons). – Ninurta and Nergal obliterated the spaceport and the “sinning” cities with nuclear weapons. The drifting nuclear cloud brought death to all in Sumer. – Bab-Ili was among the few places to survive the calamity, so Enki saw it as an omen of Marduk’s inevitable supremacy. Finally, Enlil accepted Marduk’s supremacy and retreated to the faraway lands. Apparently, this chapter was not strongly connected to the main subject, but my intention was to show you that important Anunnaki figures went to the Americas, where they built new space facilities (most probably including pyramids as well). This is important evidence that the great Mesoamerican and South American civilizations (Olmec, Toltec, Maya, Aztec, Inca) had also been established by the Anunnaki. But one of the most amazing connections, at least for me, is Ningishzidda’s name in the Americas, according to the Sumerians. He was known as…get ready for it…the Winged Serpent! Does this ring a bell to you? All major Mesoamerican civilizations worshiped the same god. The Incas called him Viracocha, the Aztecs Quetzacoatl, the K’iche’ Maya Q’uq’umatz, and the Toltec and Mayas Kukulcan. His name means the same thing, in all cultures: the Feathered Serpent — which means that he possessed the ability to fly! The Anunnaki used the so called “Whirlwinds” for flights inside Earth’s atmosphere. The so called “Celestial Boats” were bigger flying crafts, that could host numerous whirlwinds. The celestial boats were also used for space travel (similar to the concept of a Mother Ship). During NASA’s Viking Missions of 1976, the orbiters Viking 1 and 2 took aerial photographs of Mars’ surface. In an area that is now referred to as the ‘Cydonia Complex of Mars’, the orbiters took some very controversial pictures, consisting of a large and detailed humanoid face, the size of a small mountain, and several pyramidal structures in its vicinity. According to author Wayne Herschel, the Martian pyramids are a replica of the Pleiades:Even in black and white color, to the untrained eye, the resemblances to pyramids seen from above and a humanoid face are striking. Anzu was the designated spacecraft pilot for Anu on his way back to Nibiru. He decided to “make his name” and stay with Alalu on Mars until his death. As I have mentioned before, for space travel the Anunnaki used the so called “celestial chariots”, which were large mothership-like spacecrafts. There are many references in their accounts of how the space chariots were influenced by the gravitational pull (or, how recent alternative studies suggest, electromagnetic force) of the planets. Which meant, that these crafts were not “anti-gravitational” vehicles, which are entirely unaffected by gravity. (As alleged insiders from our real space programs suggest, we currently have very advanced space crafts as well, which are able to create and “ride”, so called, “anti-gravitational waves”. This concept is similar to a surfer riding a wave. And it is only logical that this type of craft has limitations when it comes to entering inside a planet’s atmosphere, because it is not shielded by an “anti-gravitational bubble”. For example, even the most advanced of NASA’s Space Shuttle Orbiters, the S.S. Discovery, faces serious challenges when reentering Earth’s atmosphere. It needs to enter at a certain angle and at a certain speed, otherwise it would break into pieces. For example, in 2003, the Columbia orbiter broke up during re-entry, over Texas — all 7 astronauts died). Anu’s daughter, Ninmah, who was a medical officer, was sent to Earth. On the way, she landed on Mars where Anzu told her of Alalu’s death. He found a cave inside a big, mountain-like rock and buried the former king of Nibiru there. Alalu ruled his home planet for 9 Shars = 32,400 Earth years. “The image of Alalu upon the great rock mountain, with beams they carved. They showed him wearing an Eagle’s helmet (astronaut helmet); his face they made uncovered. This is how the construction of permanent bases on Mars started. Six hundred Anunnaki came to Earth in the beginning, while tree hundred more went on Mars. The second ones were called the Igigi. For the next approx. 500,000 years, the Anunnaki sent refined gold from Earth to Nibiru, via the Martian base.”Anzu, to you Anu the king his promise shall be keeping! Twenty heroes with you here shall remain, the way station’s building to begin. Rocketships from Earth the golden ores shall here deliver, celestial chariots from here the gold to Nibiru shall then transport. because Nibiru’s gravitational pull made Mars’ atmosphere and waters to “escape” into space – hence making the planet unsuitable for life. In closing, I can only hope that I was able to make some interesting connections and live up to my promise. This article brought us closer to the truth, but I want to remind you that history is always written by the victors — in this case, the Anunnaki. I’m sure you understand what this statement implies.